On this page, I will copy the opinions and results from the many different libraries that we have been a part of. This will be the actual work from the employees that represent those area libraries. My intention here is to show just what these locations and their patrons thought about their experiences with Agawam Paranormal. Rob Goff and Agawam Paranormal are a pleasure to work with and one of our favorite groups to have at the Athol Public Library. We have held his “Ghostology 101” program and “Who Goes There?”. Our audiences loved interacting with his team and viewing videos as well as hearing EVP recordings. Everyone loved Rob and his personality. Rob really knows his stuff and he doesn’t claim that ghosts are real or that anything he shows you is proof. He simply states he has evidence and we can take away from it what we like to. He takes it very seriously and doesn’t try to sway anyone’s belief or disbelief in the paranormal. You don’t want to miss out on these paranormal programs for your libraries. We are looking forward to having him back next year. Rob Goff Sr. heads up Agawam Paranormal and provides a wonderful 90 minute program to the community. He offers this presentation free of charge and delivers a punchy, informative talk in a well-modulated voice, enriching the presentation. The talk is highlighted with slides that illustrates the narrative. Our event had 24 enthusiasts who clearly enjoyed themselves. 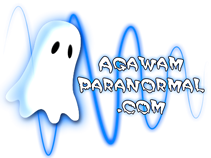 The Agawam Paranormal Society represents the best an informed and sensible group has to offer. They engage the library patrons with their presentations and give open honest answers. The Society is logical and thorough with their investigations, and while they have fun they are serious in their execution. Every program that I have hosted has been well attended. This group comes with the highest recommendation. Ghostology 101 was one of our most popular programs of the year. So much so that we already have patrons asking for them to return next year with Ghostology 101 and 201. Rob and Jeff could not have been more professional, and generous with their time. They gave our audience a basis for understanding the fundamentals of paranormal investigations, including its history, terminology, equipment, and modern endeavors in the popular media. Not only were they incredibly informative, but entertaining as well. Their presentation was interactive, and thoroughly engaging, with opportunities to experience first-hand the world of a paranormal investigator (including handling equipment, and listening to samples of audio recordings). Our patrons are still talking about it! Thanks for a fantastic event!! All of our patrons have been raving about the presentation. Several have come in asking if we are going to have the team visit for another Ghostology program next year! It was wonderful to see new faces arrive at the library for this event, and to have a full house of attentive, engaged listeners. I think the enthusiasm you bring is wonderful and helps newcomers to the library see that libraries are important places where exciting things happen every day. It was a huge success. Thank you for all your time and energy. Thank you for staying late and answering everybody’s questions. Thanks for bringing something completely new and surprising to Northfield’s patrons, thanks for caring about libraries and thanks for making it possible through your generosity. This was truly one of my favorite events at the library and we can’t wait to see what you do next!